The Subversive Archaeologist: My Viking Ancestors Did This! Crazy. I told you once that I couldn't be considered a real archaeologist until I put up a picture of Stonehenge. Well, the same's true of a viking ship! 'Cept this prolly isn't exactly an archaeological find. But it's old, and that's almost as good. Right? 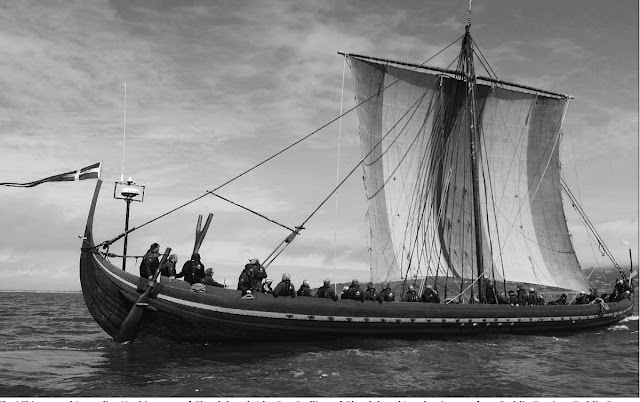 It turns out that the Vikings could probably see the sun even through the northern, northern hemisphere's cloudy gloom. They could navigate by the sun's position even when there was no visible light coming from the sun. Crazy. This is exciting news, 'cause my Great to the nth power granddaddy was Erik the Red, and his son was Leif Eiríksson, the intrepid Norseman that founded a colony at L'Anse aux Meadows in what's now Newfoundland. But don't let my awesome maternal ancestry awe you too very much. Oh. Allright. If you must be awed, it's ok with me! And this isn't at all about me. 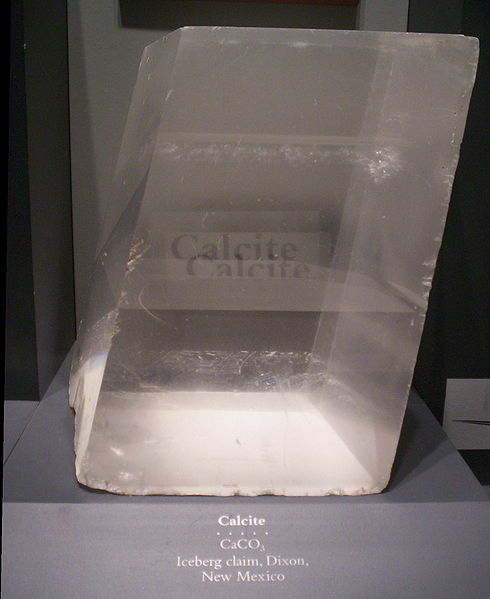 It's about the Vikings that used compasses and this little bit of geological sorcery, the sunstone (AKA Iceland spar--a very pure form of calcite crystal). An international team of researchers led by Guy Ropars of the University of Rennes in Brittany, marshalling experimental and theoretical evidence, says they have the answer. Vikings, they argue, used transparent calcite crystal - also known as Iceland spar - to fix the true bearing of the sun, to within a single degree of accuracy.This naturally occurring stone has the capacity to "depolarize" light, filtering and fracturing it along different axes, the researchers explained.Here's how it works: If you put a dot on top of the crystal and look through it from below, two dots will appear. "Then you rotate the crystal until the two points have exactly the same intensity or darkness. At that angle, the upward-facing surface indicates the direction of the sun," Ropars said. "A precision of a few degrees can be reached even under dark twilight conditions. Vikings would have been able to determine with precision the direction of the hidden sun. "The human eye, he added, has a fine-tuned capacity to distinguish between shades of contrast, and thus is able to see when the two spots are truly identical.The recent discovery of an Iceland spar aboard an Elizabethan ship sunk in 1592 - tested by the researchers - bolsters the theory that ancient mariners were aware of the crystal's potential as an aid to navigation. Eat your hearts out, Pirates! Vikings Rule!